The first is that Illinois’s machine politicians dropped the appropriation this summer into a 1,246-page budget bill, which was then presented to rank-and-file legislators only hours before the vote. If he tried, President Obama could probably raise more than enough private money to forgo sweetheart deals. Does anybody really think the Obama Foundation can’t afford more than $1 rent? Yet Chicago’s loyal Democrats are only too happy to give him the land free, then pour tax money into the road reconfigurations the project requires. 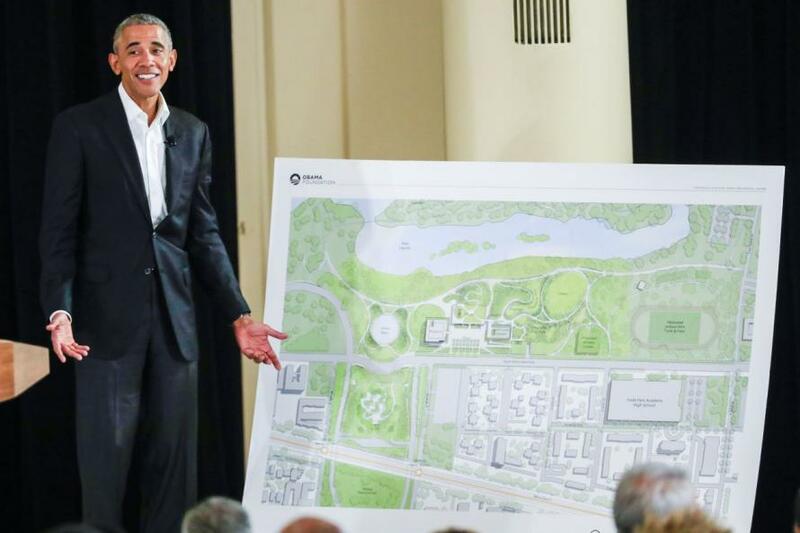 “The state’s $174 million investment in infrastructure improvements near the Obama Center,” Mayor Rahm Emanuel said, “is money well spent.” Mr. Emanuel was President Obama’s first chief of staff. So if you wind up visiting Chicago some years from now, and you spot a tall stone tower teeming with future leaders of the Democratic Party, give yourself a pat on the back. No matter where in America you’re from, your tax money will have helped to make the Obama Center possible.